Knock down flat with tab closure. 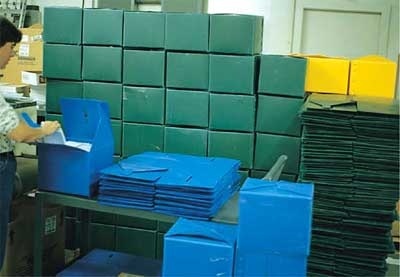 Available in 2.5mm to 5mm thickness corrugated plastic. 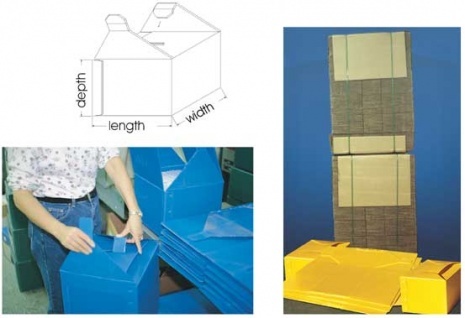 These Corrugated plastic reusable and collapsible shipping cartons replaced expendable corrugated paper cartons 4 years ago and are still going strong.